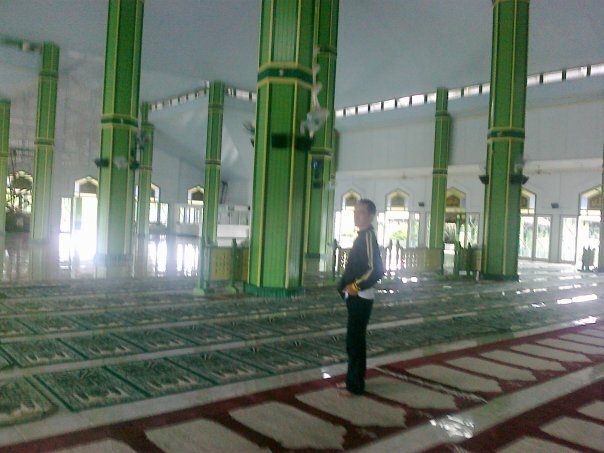 When I looked back and recalled my memories in few years ago, my mind went around to “The Grand Mosque” In singkawang town. So, What the heck is this? Yeah, You know with Fully loaded of local with chinese descent and take it as a majority, it become a difficult thing in search of a mosque for moslem like me. an area with numerous moslem people, of course we can easily find mosques, whereas Singkawang even is on opposite condition. In coverage distance as far about 100 metres from one place to another place, you can see clearly a “Kelenteng”, shrine of Confucianism. 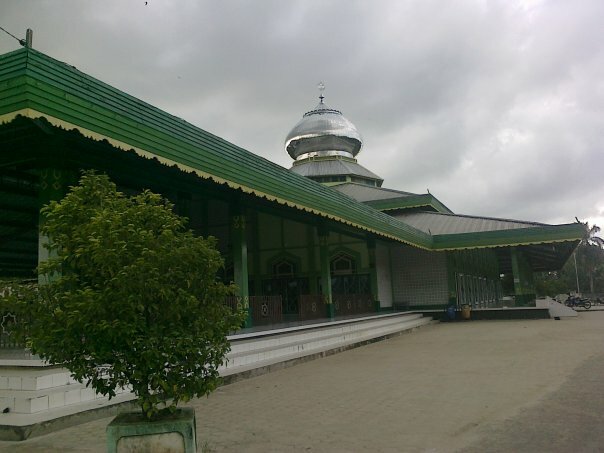 The Grand Mosque of singkawang located at ….oh Gosh I forget what the hell name of street where it stand on 🙂 . But definitely, it is behind my boarding house and if I go to there by on foot from my residence, it will take times approximately 10 minutes. 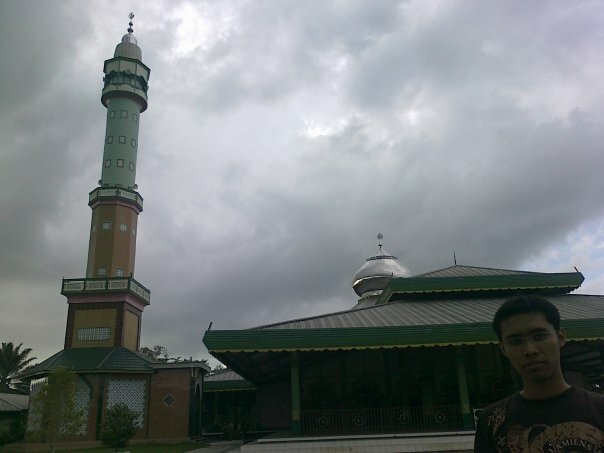 Mostly, I took my Friday prayer on this mosque. Although the preaching (Moslem mention it with the word of Khotbah) was running very very very slowly, but I enjoyed it. 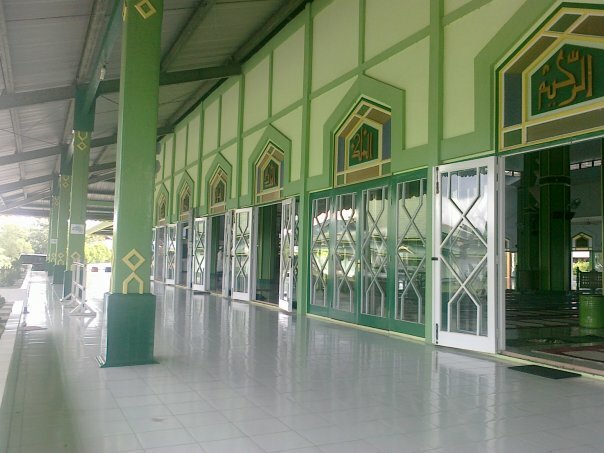 Here is one pride of Singkawang residents, notably moslems lived here. I looked clearly into local people faces that they had been learning so fast over past mistakes. In the middle of 1990s, One town is nearby with singkawang had experienced a turbulence in cultural term. Not a religious violence, it is purely cultural violence. I heard from my tenant that formerly there was a massacre over Maduranese people whom was being a minority in singkawang. It is caused by impact of escalating the turbulence from sambas town. On Hearing it, I felt scared and all my hairs on hand stood on. My body got numb. But gratefully, it was a long long ago, not recent. We know that conflicts in any term would give a deep wound in heart. People died, injured people, babies lost their parent and crippled economy etc. It would be linking worse to many aspect of life. My mother always said to me in anytime “if you do a good common, none will hurt you”. And she added with straight fiery face, “It is a principle which shouldn’t be violated. Get it”. Truthfully, I saw a sorrow overwhelming her face when I am prepared to go out home and headed to Bandara. 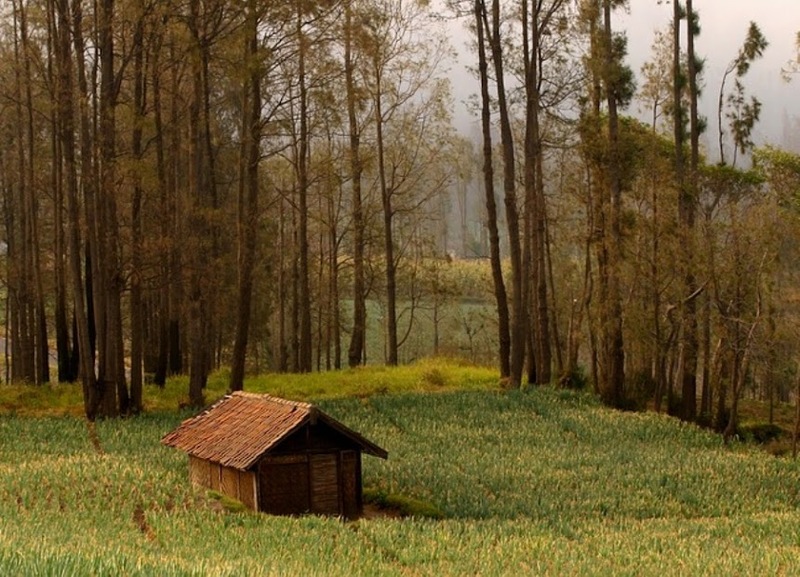 Religious-based violence has been a growing concern among Indonesians of all walks of life over the past few years. Conflicts between followers of a religion or different religions have marked the country’s history.We had Poso Tragedy and Ambon Tragedy. These problem noted that a lack of government leadership and effective law enforcement to save the minority communities that is vulnerable to attack. But we couldn’t wait any longer to our government dealing with these problem. We can start from ourselves to make live in peace for communities around us. Just mantain a religious harmony. If harmony is always built into the social life in the community, it can guarantee there will be no various events such as inter-religious clashes. Harmony on different group impact on tolerance and vice versa. In this case, tolerance can be framed by doing small things like mutual respect, mutual help and love each other which those must have taught in every religion. It will not be hard to do if we understand the importance of moderation and tolerance in order to create harmony both in the society and the nation. Tolerant attitude should not discard or ignore religious principles are believed by each of us as individuals who are, but strengthen the principle of life and religion that we believe. Lately, I heard news that Christianity get complicated to worship in church. How it could be. As form of protest to our leader, they would pray in front of Istana Merdeka, The official Palace of Indonesia President. If all parties obey and understand the prevailing law, absolutely, it will be no problem. Many of the problems of constructing churches, for example, are related to building permits, which such establishments have yet to acquire before starting their worshipping activities. But above all, there are big part we must concern. It is about to uphold law enforcement in our country. Our leader’s response and action has been weak against this problem. If it is left unattended, it will become serious threaten to the existence of our country. At last I want to cite a interesting quote of a once most poweful person, Gusdur, our late president. All religions insist on peace. From this we might think that the religious struggle for peace is simple… but it is not. The deep problem is that people use religion wrongly in pursuit of victory and triumph. This sad fact then leads to conflict with people who have different beliefs. 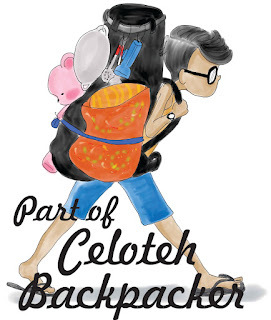 Galeri | Pos ini dipublikasikan di My Adventure dan tag agama, article, artikel, berita, english, foto, info, information, islam, jalan jalan, kerukunan, konflik agama, kristen, masjid agung singkawang, news, pendidikan, religi, sosial, story, tempat wisata, travel, ziarah. Tandai permalink.